This series contains low growing cactus and decorative type varieties with a compact growth habit. 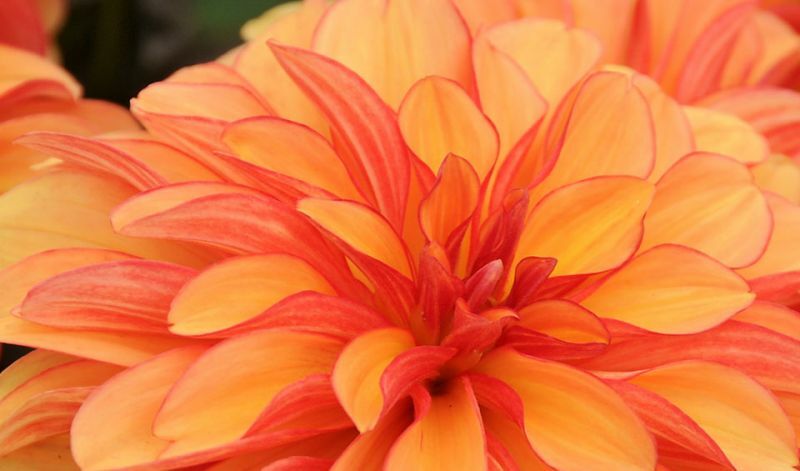 They are one of the earliest dahlias to bloom. Flower diameters vary between 4-6" / 10-15 cm. Very suitable for pots and containers. Most of them are named after famous painters. In borders, pots and patio containers. 'Art Deco' (orange), 'Art Fair' (white), 'Cezanne' (yellow), 'Leonardo' (salmon), 'Rembrandt' (pink, white heart), 'Renoir' (lilac), 'Singer' (red) and 'Vermeer' (bright orange).